About 30,000 cases of infectious tuberculosis (TB) go undetected annually in Zambia. And TB has developed resistance to drugs currently being used, a thing that raised concerns in the Ministry of Health. 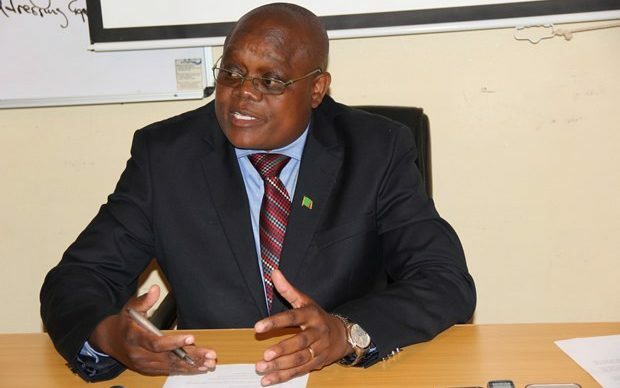 Ministry Permanent Secretary for Technical Services, Dr Kennedy Malama said this during a media interaction held in Chipata on Friday. Malama said that cases of drug resistance were on the increase, noting that the Ministry was going back to the basics to ensure that all infectious diseases were detected and contained. He indicated that positive strides were being made in as far as treating TB cases. “TB for Zambia we are making progress, we are seeing improvements in the number of people who are being treated and cured. But the danger now that we are faced with is what we are calling drug resistant TB. In other words, the TB which is not responding to the medicine that we normally use and it’s like this situation is increasing, so what we are doing is to go back to the basics, we need to ensure that all cases of infectious TB are detected and put on treatment,” he said. Malama said the disease burden for the country currently stood at 361 per 100,000 population in terms of TB prevalence. He said that about 30,000 cases of infectious TB were not detected annually, saying this posed a grave danger because people could be talking or merely coughing, yet shedding the TB germs in the community. “For your own information, at the moment our disease burden for Zambia, we are at about 361 per 100,000 population in terms of TB prevalence. So what that means is that when you have 100,000 people in a population, about 361 people are likely to have TB. At the, we are missing about 30,000 cases per year of TB. “That is dangerous, because what it means is that someone could be coughing, someone is sneezing, someone is talking and they are shedding the TB germs,” he said. And Malama revealed that his ministry would soon embark on an intensified case finding exercise in communities in an effort to cut the transmission line. He said that the country however, remained stable in the supply of TB drugs. “We need to have a high index of suspicion and we need to routinely conduct what we call intensified case finding, you will soon be seeing health workers going into the communities asking people to contribute or submit sputum for examination. So, we need to be very strategic on TB and ensure that we cut the transmission line. We are quite okay as a country on TB drugs,” he said.